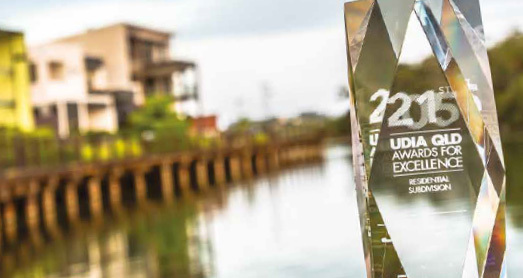 The UDIA Award for Excellence. Sunshine Cove brings it home for winter 2016! 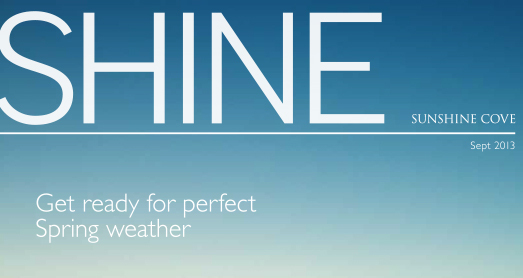 Shine Newsletter Hot Off the press. 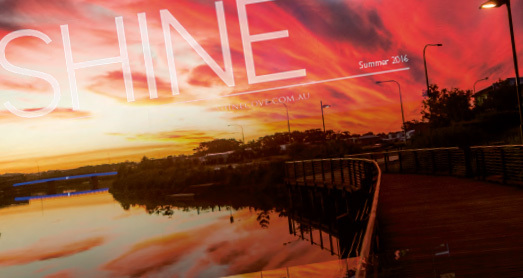 In our Spring 2015 issue of SHINE we profile artist and Sunshine Cove resident, Ida Montague and catch up with all the latest developments around Sunshine Cove. 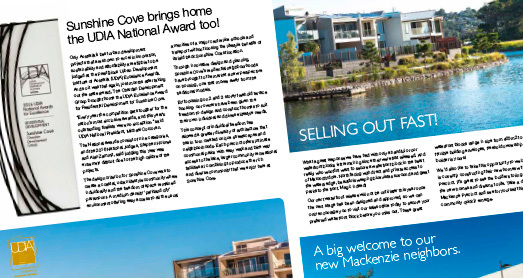 In this issue: Community Development Update House & Land for Sale Feature Sunshine Cove Homer Wins Awards! 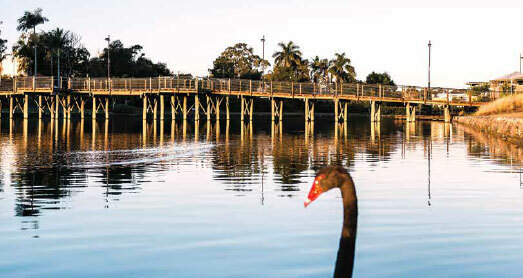 More Businesses for Maroochy Boulevard Download issue here. 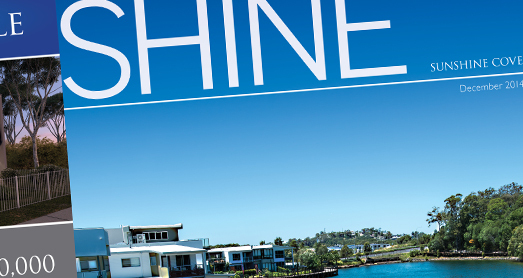 In our Summer 2014 issue of SHINE we visit Port Cartwright, a stunning coastal destination, and catch up with all the latest developments around Sunshine Cove. 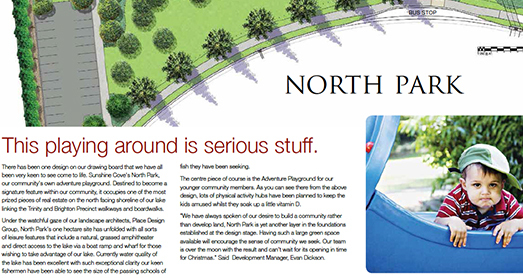 In this issue: Community Development Update House & Land for Sale Feature Family fun times ahead for summer! 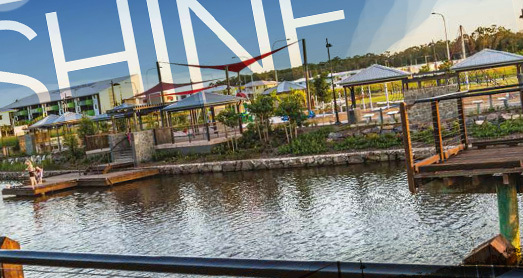 A new bigger and brighter Bunnings for Maroochydore! Download this month’s issue. 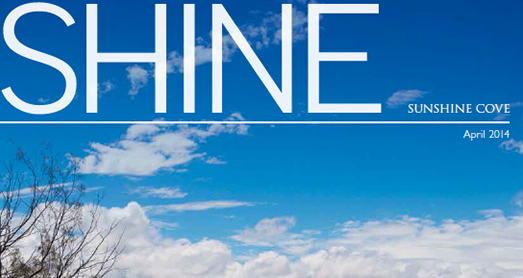 In our Winter 2014 issue of SHINE we visit Coolum Beach, a great family favourite, and look into the plans for North Park. 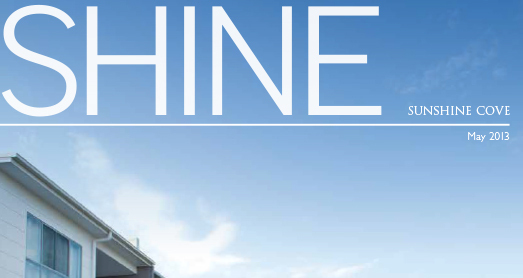 In this issue: Community Development Update House & Land for Sale Feature How to work for a life, not just a living! Home builder update! Download this month’s issue.